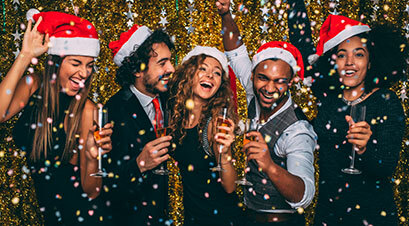 If you’re planning for your office or corporate Christmas function in Sydney, consider your options for transport to dinners and events. For the smart, luxurious way to travel, let us provide your travel solutions. Majestic Water Taxis can provide luxury water taxis for travel on dazzling Sydney Harbour. Impress your guests, travel in high-end style, and enjoy a great Christmas party without the transport issues. We can provide luxury water taxis and water limousine services on a scalable basis for your business group. We cater for any size travel group, from large corporate conferences to small groups of friends. Our water limousines are unique in Sydney, designed to deliver top quality comfort and first class travel amenities. 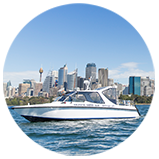 We offer VIP private water taxi charters, water taxis for Christmas parties, and Sydney VIP water taxi restaurant transfers. Let us take you to Sydney’s excellent leading waterside restaurants. 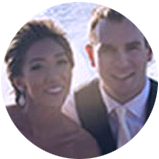 Come with us to the legendary Doyle’s restaurant or Dunbar House in Watsons Bay, Bathers Pavilion or Public Dining room in Balmoral, Hugo’s or Papi Chulo in Manly, or Sergeants Mess or Ripples in Chowder bay to name a few. 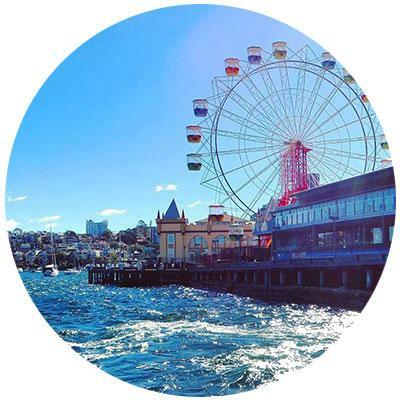 Planning a Great Day or Night in Sydney? If you’re organising group to travel to a function, a show, dinner, or travel to any of Sydney’s hot spots, just ask us. We can also help you with all your needs for getting around town for a day or night out in Sydney. It’s easy to arrange all your Christmas travel needs with us. To book with Majestic Water Taxis, all you need to do is call us on 0439 625 377 or email us directly . Book your trips and tell us your times, pickup destinations, and return points. That’s all you need to do! Our reliable water limousines will deliver the fast efficient service you want. We’ll be happy to provide all the travel assistance and help you need for a wonderful corporate experience. 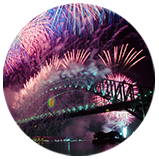 Let us show you a fantastic Christmas on beautiful Sydney Harbour.